Another retro gaming crowdfunding campaign has become mired in controversy. 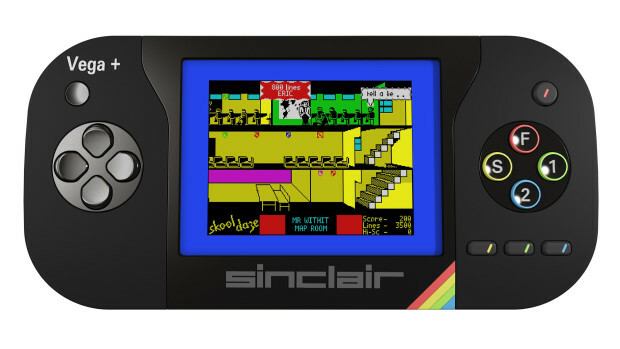 The Sinclair Vega+, a Spectrum-emulating handheld console from Retro Computers Ltd, is now six months overdue from its original delivery date and has still not been delivered to backers. What's gone wrong? To begin with, the project seemed stable. The console is a follow-up to the Sinclair Vega, another crowdfunded Spectrum device released in 2015. 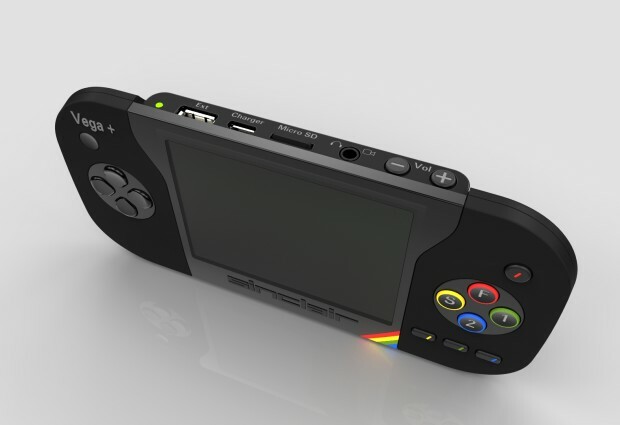 Funding for the Vega+ began only a few months after the original Vega was released, and promised a fully portable device with built-in LCD screen. Both the original Vega and its follow up were endorsed by Sir Clive Sinclair himself, whose Sinclair Research company is listed as a director of Retro Computers, along with his long-time associate Dr David Levy. The Vega+ IndieGoGo campaign was also given a seal of approval by US firm Arrow Electronics, which consults on tech campaigns for the site and confirms they are in a position to be manufactured. The campaign also suggested that while production was scheduled for Summer 2016 for a September launch, the company believed it might even "be able to improve on this delivery date". With one campaign already successfully delivered, working prototypes demonstrated in videos and external confirmation that it was ready to be manufactured, the Vega+ certainly seemed like a relatively safe bet in the uncertain world of crowdfunding. The campaign was a big success, raising far more than the initial target. Indeed, even after the campaign period had officially finished, prospective backers could still contribute via IndieGoGo, which continued to promote the campaign as "in demand". The final total raised eventually came to just over £513,000. "The campaign also suggested that while production was scheduled for Summer 2016 for a September launch, the company believed it might even 'be able to improve on this delivery date'"
And that's when the problems began. In April 2016 the original directors of Retro Computers Ltd, Paul Andrews and Chris Smith, resigned from the company, claiming later that after suggesting the directors forego their salaries and dispense with the PR services that had been provided by Suzanne Martin, they were subjected to a "hate campaign" by Levy and Martin, both of whom deny the accusation. While they had left the company, both Andrews and Smith retained 50% of the company shares between them. There followed a long and still-ongoing legal tussle over the ownership of these shares between Andrews and Smith, and Retro Computers' other directors, which came to the High Court in February 2017. This wasn't RCL's only legal battle. Another case, brought by RCL against the original Vega distributor Cornerstone Media for unpaid income, was heard on 2 March. With these legal problems in the background, and as the proposed September 2016 delivery date passed with no sign of consoles, backers of the Vega+ began to express concern at the lack of detailed communication from RCL. A picture from the original campaign page which claimed to show a game running on a functioning prototype was discovered to be a digital render of the console with a game screenshot taken from the internet pasted on the screen. A private "launch party" for the device was held in October, with a handful of working units apparently on display, but no actual commercial launch followed. An issue with the buttons was blamed for a further delay in November. Then, at the end of December, it was announced that the console would actually ship in February, but when that month came around another new launch window of "after the 20th February" was put forward by RCL. The open-ended wording of this update to an already overdue project resulted in an escalation in the growing friction between Retro Computers and its community of almost 5000 backers. Since that announcement, the comment section of the campaign page has devolved into almost entirely negative commentary, alternating between repeated requests for refunds and outright abuse. A private Facebook group for disgruntled backers now has over 500 members. As with any internet controversy, it is now almost impossible to unpick the tangle of rumours, claims, counter-claims, assumed facts and outright conspiracy theories which are currently being bandied about. The key issue, it seems, is that when Chris Smith resigned as director, he took the rights to the original Vega firmware - which he created - with him. RCL says he should have handed it over. Smith says he was never paid for it, so it remains his. The end result: a handheld console without any software. In February of this year, RCL finally announced that it would be using a version of the open source FUSE emulator instead. "For those who follow the retro scene, the situation has inevitable echoes of the Recreated ZX Spectrum"
For those who follow the retro scene, the situation has inevitable echoes of the Recreated ZX Spectrum, a Bluetooth keyboard in the style of the ZX Spectrum's famous rubber key 48k model. That device, from Elite Systems, was funded on Kickstarter in 2014 but angered backers over the lack of payment to developers whose games were included with the keyboard's emulator app. Although the keyboard was launched, and can still be found for sale, the official apps needed to use it have long since been removed from both Apple and Google app stores, rendering the device functionally useless to most users. Then there was the Coleco Chameleon, a crowdfunded retro emulation console from Retro VGS that went down in flames last year after internet sleuths suggested that what was claimed to be a photo of the finished device was actually just a SNES circuit board inside a transparent Atari Jaguar case. Coleco quickly pulled its branding and the campaign fell apart. While the Vega+ hasn't achieved that level of notoriety, Retro Computers has yet to produce evidence that half a million pounds in funding has resulted in a finished console ready for delivery. Now the story has taken even more bizarre turns. The BBC has reported that it was IndieGoGo itself that stepped in at the end of February to close the Vega+ campaign and prevent more funds being raised. In a bizarre twist, the BBC has also revealed that it was asked by RCL director David Levy not to report this fact, as threats of physical violence against RCL staff were being investigated by police. "Following a credible threat of violence against personnel of Retro Computers Limited, including threats made as recently as last night, we asked [technology desk editor] Leo Kelion and the BBC to refrain from publishing a story we believe to be factually inaccurate and might put people at risk of physical harm, alarm and distress," Retro Computers Limited founder David Levy said in a statement to the BBC on Wednesday 8 March. "Since December 2016 the BBC have formally been on notice that this is a police matter, and we ask that the BBC and Mr Kelion do not compromise the police investigation". Another report on the situation was published by Gizmodo this week and then almost immediately taken offline, reportedly because of the same threats. In addition, the BBC revealed that in December, whilst investigating the overdue delivery of the Vega+, it received a letter from Michelmores LLP, lawyers acting on behalf of RCL, accusing the corporation of "supporting and participating in a malicious campaign intended to denigrate our clients' reputation". The BBC eventually ran its story after RCL failed to produce evidence to support its claims of violent intimidation. On the morning of 10 March, and following the BBC story being widely picked up by the tech press, RCL posted a series of new updates on the IndieGoGo page, blaming the former directors for the delays: "The development work had to be carried out by a small team who did not have any of the specific Vega knowledge and experience of Chris Smith who led the development of both the Vega and the company's Vega+ prototypes." RCL also claims that delays have been caused by game developers removing their games from the device, and accuses former directors Paul Andrews and Chris Smith of conspiring with Nick Cooper, the MD of former distributor Cornerstone Media, of "contacting rights owners and encouraging them to withdraw their permissions", claims that Andrews and Smith deny. As for a release date, RCL now says "we expect to make the first shipment of Vega+ units a few weeks from now" and that updates will be provided "as and when we feel it is appropriate". The most recent update (Monday 14 March) was two photographs of special limited edition "red, white and blue" consoles. This update was itself also delayed, allegedly due to a botched courier delivery, but eventually resulted in two virtually identical images being posted of the backs of three units, and the front of another with an obscured screen. Both photos were only 620x481 resolution. "We will post footage, better stills and another up-date of the screen booting up and playing a game tomorrow" read the text. It's symptomatic of a campaign that has consistently suggested that the production and sharing of high resolution photos and video is a major undertaking, rather than something that can be done in moments using even the most basic smartphone. But where does this leave the thousands of Vega+ backers? Still largely in the dark, it seems. There is still no specific delivery date for the console, and no evidence that it has been fully manufactured ready to be delivered in "a few weeks". GI.biz has asked Suzanne Martin directly several times to confirm whether production has taken place, but this information was not supplied. Regardless of the legal drama behind the scenes, RCL's handling of its backers is a case study in how not to handle community management, with a long series of unsubstantiated promises and vague announcements leaving many feeling they are being fobbed off. Most troubling, it suggests that while retro gaming is slowly but surely finding its way to commercial relevance - as the NES Mini proves - the business landscape for such projects, particularly at the grass roots level, is still fraught with problems. When you attract backers by making an appeal to nostalgia and their emotional attachment to a system, you can expect an emotional response when you disappoint them.